Editor’s comment: The new lens technology described here is a big deal. 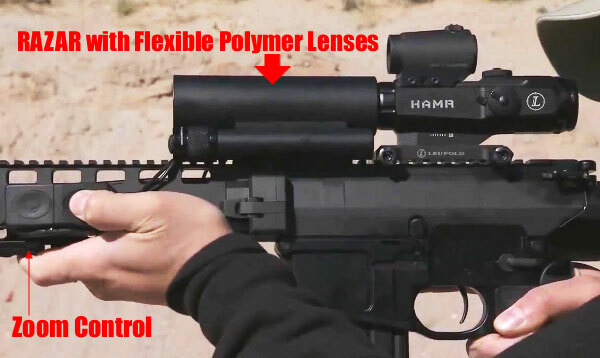 The “flexible” polymer lens is nothing short of revolutionary — there’s never been anything like it on a riflescope (though our own human eyes have flexible lenses). In the world of optics, this is as noteworthy a development as the touch-screen was for personal computing. Flexible, “adaptive” lenses can potentially be employed for a wide variety of products, from cameras to spotting scopes. Think about the benefits of “instantaneous zoom” for security cameras. Sandia National Laboratories has developed a truly game-changing piece of optical technology at the direct request of the Department of Defense: the RAZAR (Rapid Adaptive Zoom for Assault Rifles). Fundamentally different than every other riflescope ever made, the RAZAR represents a revolution in lens design and function. Until now, all riflescopes used a set of rigid, hard lenses (usually glass). The new RAZAR utilizes an advanced set of flexible polymer lenses that allow the user to toggle between high and low magnification with the press of a button. The RAZAR can literally zoom in and out in the blink of an eye (250 milliseconds). The RAZAR works in conjunction with a tactical-style optic, such the Leupold HAMR (top photo). This tandem (two-part) sighting system combines the conventional scope’s eyepiece and illuminated reticle with the RAZAR’s ultra-fast zooming capability. Unlike traditional eyepiece (ocular) magnifiers, the RAZAR sits in front of the primary optic. 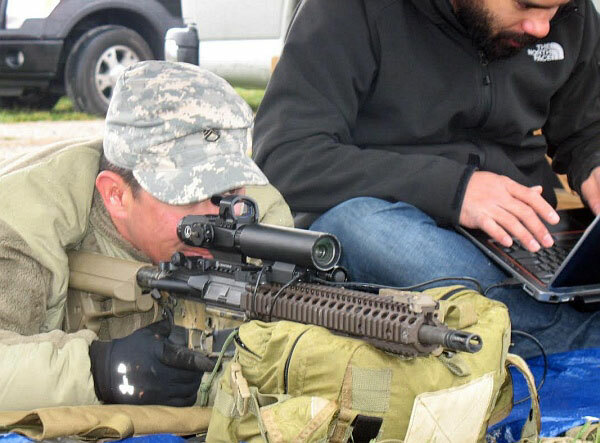 The RAZAR’s instant, push-button zoom capability gives soldiers the ability to change field of view and magnification without re-positioning their grip on the rifle, unlike traditional variable-power riflescopes. 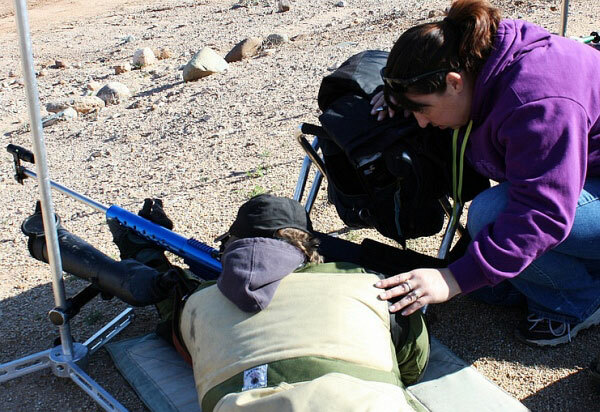 This capability can be invaluable to a soldier in combat. The secret to the RAZAR’s high performance lies within the development of the advanced technologies within the scope. A hermetically sealed, flexible polymer lens core encapsulates a proprietary polymer liquid, and this core then works in tandem with glass lenses to form the basis of the optical design. 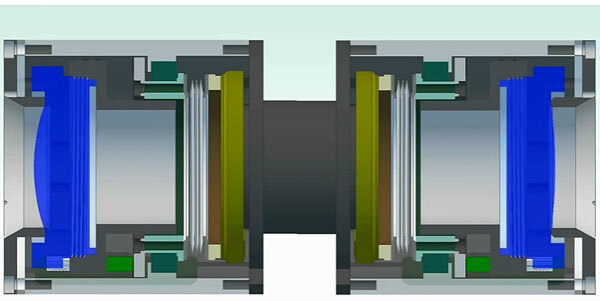 Rapid changes in magnification are accomplished via a piezoelectric motor that changes the curvature of the lenses, achieving the correct positioning within 250 milliseconds within an accuracy level of 100 nanometers. When zooming, these electronically-controlled actuators act much like the tiny muscles that allow the human eye to change focus from near to far. Human eyes have flexible lenses controlled with muscles*. The RAZAR has flexible lenses controlled by tiny electric motors. It’s important to highlight the reliability that Sandia was able to build into the RAZAR. The system requires very little mechanical power to operate, and can undergo up to 10,000 zoom actuations on a single set of two standard AA batteries. The ultrasonic motor draws no power unless it’s being used to bend the soft lenses, which makes the RAZAR very reliable. If the batteries do go flat, the RAZAR remains fully usable — the system simply stays at the last magnification level until the batteries are replaced. 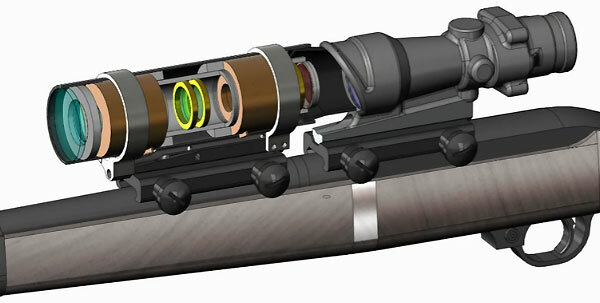 Sandia’s RAZAR design provides a large, clear viewing aperture, without sacrificing any of the optical quality found in traditional riflescopes. The RAZAR is also shock-proof, vibration-proof and capable of operating in a very wide temperature range. 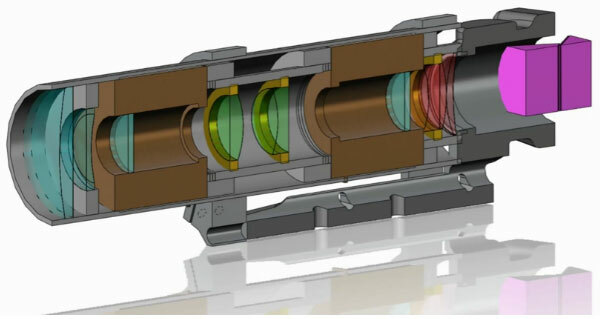 Sandia Labs is developing other specialty lenses in the near-infrared, short wave-infrared and mid-wave infrared spectrum, primarily for DOD use. However, Sandia has suggested that its flexible polymer-lens technology could be adapted for other imaging applications where rapid zoom is needed, such as binoculars, spotting scopes, and even security cameras. For more information, visit the Sandia Labs website. *Changing the curvature of the human eye lens is carried out by the ciliary muscles surrounding the lens. They narrow the diameter of the ciliary body, relax the fibers of the suspensory ligament, and allow the lens to relax into a more convex shape. A more convex lens focuses divergent light rays onto the retina allowing for closer objects to be brought into focus. 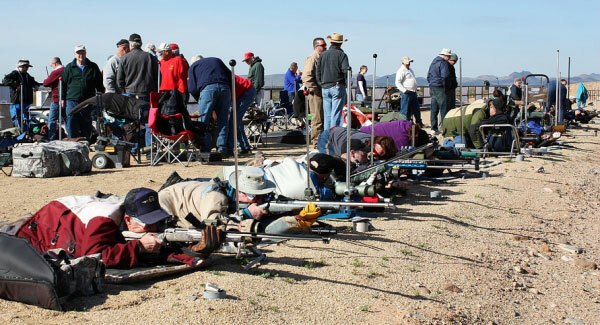 Kip Staton is a freelance gun writer based in North Texas, and loves to blog about news within the firearms industry and his perceptions on marksmanship. Kip is a content marketer, copywriter and digital strategist for an award-winning Dallas marketing agency. To read more by Kip, visit KipStaton.com. 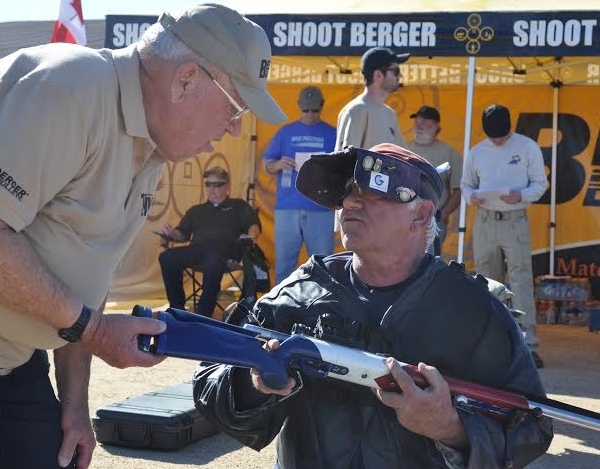 Share the post "Revolutionary Flexible-Lens Optics Technology Zooms Instantly"
The clinic started with a class on Exterior Ballistics hosted by Bryan. 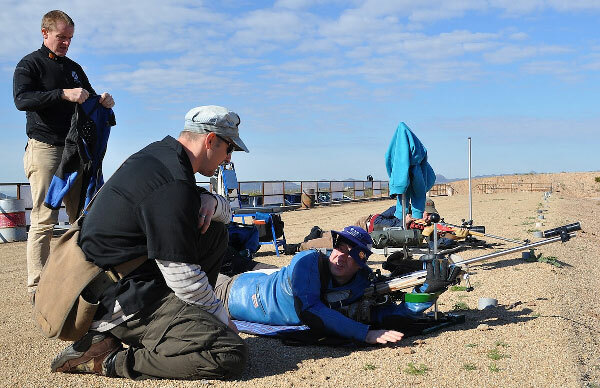 This focused on why ballistics is important to competitive shooters, and how to balance ballistic performance objectives against real world constraints. Topics included bullet weight options for F-TR (155 to 215 grains), barrel/chamber considerations, plus the real-world trade-offs involved with heavy bullets (yes the BC may be better but recoil becomes an issue). Many of the questions related to content from Bryan’s recent books, and discussions in AccurateShooter.com’s Ballistics sub-Forum and Daily Bulletin. Last but not least, Mid Tompkins directed a wind clinic with live fire demonstrations. Bryan reports: “Mid has a way of getting your attention. 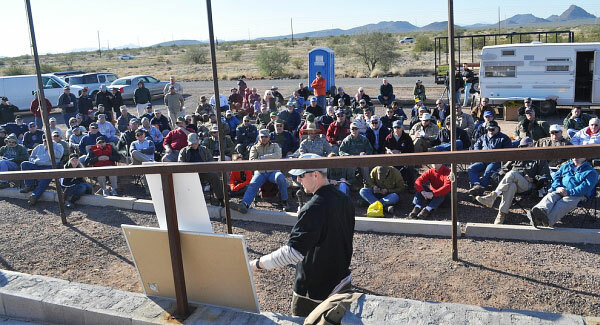 Personally, I thought his 2 MOA wind call that put the very first shot in the 5 inch X-ring at 1000 yards got everyone’s attention!” After the demonstrations, clinic “students” went to the firing line to put wind-clinic lessons into practice, and to verify their zeroes. 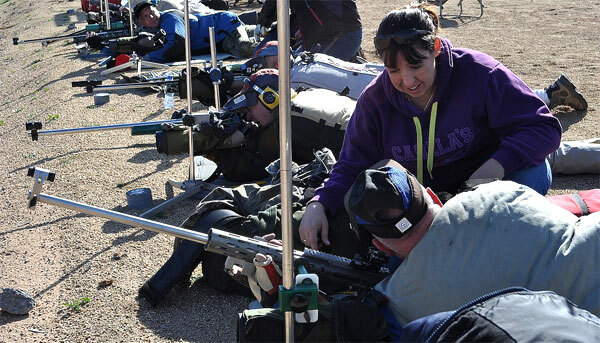 Here are some more images from the instructional clinic held last year at the 2014 SW Nationals. 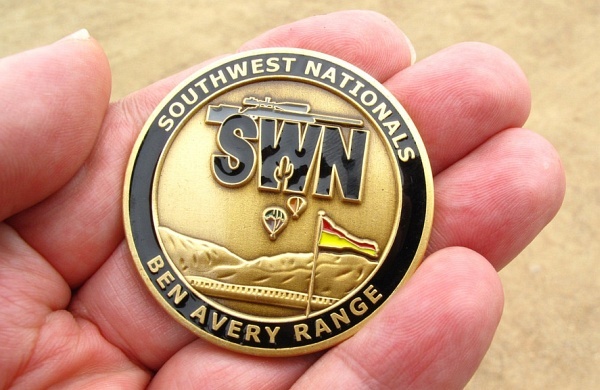 Share the post "Berger SW Nationals — Tuesday Instructional Clinic"